The games I played in Essen 2013 and a short opinion. Played while waiting for the Futterneid release. 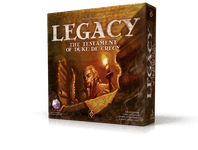 Classic card game that doesn't leave many decisions or rather not many non-obvious decisions if you have a normal card gaming background with trick taking games. 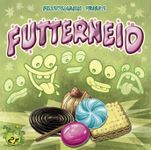 The last game of Friedemann Friese's 'Friday' blog. A game that is not heavy weight but it delivers more than you think on first glance. I think it loses some if not playing with real candy, but anticipating what your opponents will do and guessing the points of the different sorts even was fun for me as someone that prefers meaty games. A worker placement game that got a big buzz before the fair and so I wanted to try it. We played one of 3 (or was it 4) rounds. It was pretty fun but I don't understand the choice of components: big modelled ships and barrels but only standard cubes for crew, cannons and trade goods. A nice combination of deck building and area control with hidden identities, though I wonder if you really want to keep them hidden very long. I liked the art of the game and now I want to read the story by Neil Gaiman. A solid game that I only played for a few minutes (then the more than loud gong told us the fair is over) and couldn't really make up my mind about it. 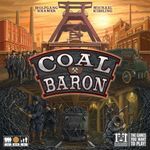 A board game about coal in Essen was just a must play. It's not the heaviest game but it still a nice worker placement game. Missed some rules in the first round, but still had fun. A civilisation game without map and it works. We played the first of 4 ages . Interesting game. Card driven worker placement. It's a very nice game but has some problems with colours on the board which are not that easy to distinguish (white/nature and black/grey). 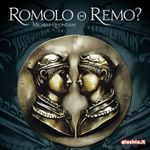 A game that uses 2 ressource wheels (ora et labora) per player by Uwe Rosenberg that does play in a short time (we played a full game including explanation in the 1h time slot). Definitely not the hardest brain busting game ever designed, but that doesn't mean it's not fun! It's a dice racing game where you try to frantically roll the actions you want to build the park that you want. Visitors will be drawn randomly from a bag and come to your park if you have the right attractions. 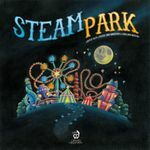 While the material looks good and the game is quite fun, you don't think it has to be a steam punk theme (though the pun is good) and is a very light game. Nothing special in my opinion, still a solid game. It's a game that just didn't appeal to me. I watched and liked the series but don't understand the hype about it. So I tried the game from a more mechanistic view and as we had several rounds in which players couldn't do much than flying, get stopped and lose their second action, it was not really that fulfilling. On the other hand there was just nothing real to do while waiting for the other players to complete their turns. 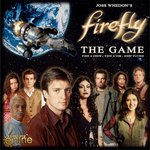 So I think I have to stay with BSG and Doctor Who card game as my TV-franchise board games. Played a 2-player game. Made one good move in turn 1, opponent used his 2nd turn to undo that, I spread more on turn 2. Win on turn 3. Didn't have time for another play, but I don't think it's great with 2 players, maybe the game shines with 3 or 4. This expansion fits nicely into the base game and people who have that should consider this expansion. The ambassadors not only have unique skills, they also come with an office to add to your station (one of each colour). It's a cute and fun little dice game with nice art and custom dice that satisfies the same urge as 6 nimmt! With 25 € I thought it definitely overpriced as 6 nimmt (less arty, but more game play value) costs around 5. Was sold out, when we played it, so others didn't think it was too expensive. Craftsmen is a medium-heavy euro worker placement-production game with some nice implementation of coloured buildings and money. Might be not a good choice for colour-blind people, but they said the 2nd print would already deal with that issues. This game received a lot of buzz before the fair and so I was quite happy to get to test this game at the only table they had. It's a card game with some worker placement that leads to a special kind of set collection (just to use some categories). While the game is pretty nice it didn't really get to me. Maybe if we played a full game I might think differently. Had some rules issue so the game seemed clunky and unnecessarily complex. Want to play again with correct rules before being sure.